However Ryanair said that despite the issues, “no crew slept on the floor”. “The crew spent a short period of time in the crew room before being moved to a VIP lounge, and returned to Porto the next day,” the company said after the image circulated. Confirming the sackings on Tuesday, Ryanair said the photo led to media reports that damaged the company’s reputation and “caused an irreparable breach of trust with these six persons”. 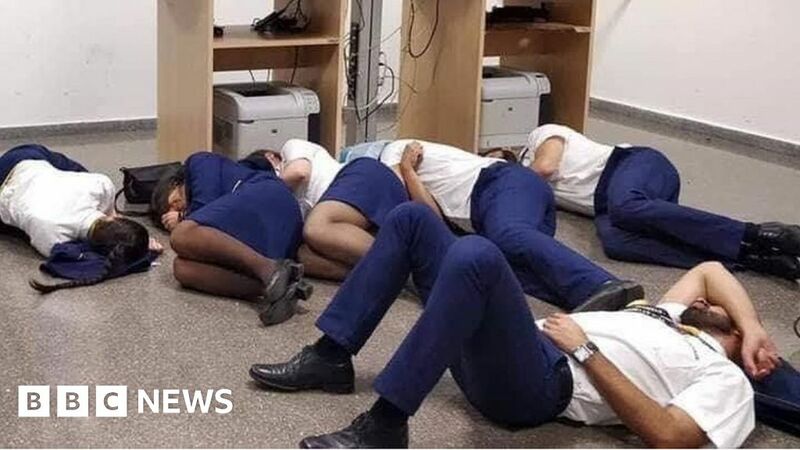 The Portuguese union, SNPVAC, had earlier disagreed with Ryanair’s summary of events, claiming that crew members were placed in a room between 01:30 and 06:00 “without minimum rest facilities”. The union said that crew members were left “without access to food, drinks and even a place to sit down, as there were only eight seats available for the crew”.